Olympics Minister Toshiaki Endo acknowledged at a House of Representatives Budget Committee meeting on Feb. 4 that he had proposed the government expand the use of assistant language teachers (ALTs) at schools across the country. But he said there were "factual errors" in a news report that political organizations linked to him had received millions of yen in donations from the founder of a Tokyo-based company that dispatches ALTs for schools around the time he pushed policies in favor of the firm. At the Budget Committee meeting, Endo said he himself had proposed the government expand the use of ALTs although his Liberal Democratic Party (LDP) did not have such a proposal at the time. 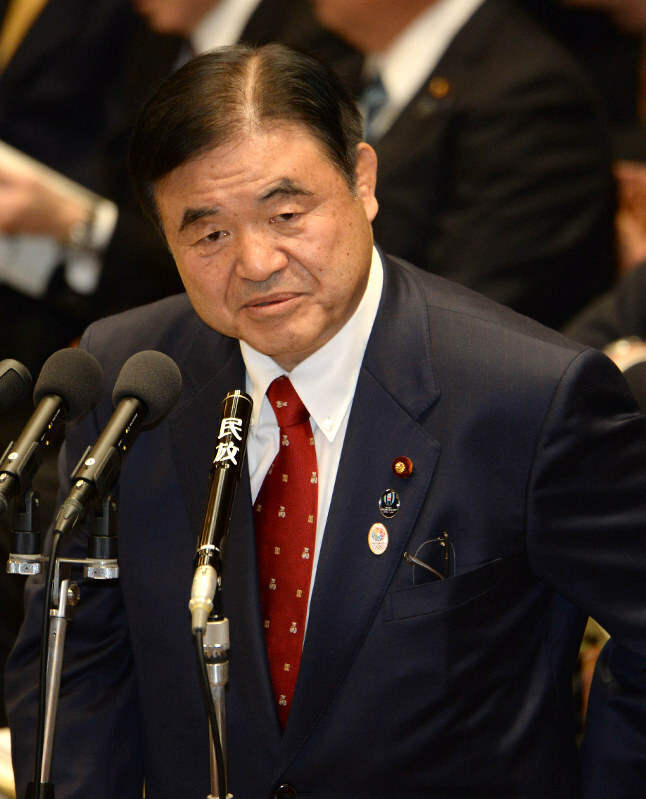 Opposition parties said they would grill Endo in the Diet along with former Economic and Fiscal Policy Minister Akira Amari, who stepped down from the Cabinet post last week over a funding scandal. Responding to questions from Shiori Yamao, lower house legislator from the biggest opposition Democratic Party of Japan (DPJ), Endo admitted to the donations from the founder of the Tokyo-based company that dispatches ALTs for schools and had the company buy tickets for his fundraising parties. He also acknowledged that he made remarks at a meeting of the government's Education Rebuilding Council, calling for expanding the use of ALTs. As for allegations that he himself approached the Ministry of Education, Culture, Sports, Science and Technology to try to persuade it to expand the use of ALTs and that his secretary made phone calls to education ministry officials to do the same, Endo said, "We had various discussions at various places. The matter on ALTs was not included in the first proposal (made by the LDP's Headquarters for the Revitalization of Education), but we talked about having ALTs play an active role. I myself talked about that and I also received a report (on such discussions). In that context, I think there was a talk (calling for expanding the use of ALTs)." Asked about the issue, Prime Minister Shinzo Abe said, "Lawmaker Endo said there were factual errors (in a news report). The Abe administration will never distort its policies for money." Takashi Ishizeki, legislator from the opposition Japan Innovation Party, said, "A fact-finding team is checking on the matter over former minister Amari, but we have no option but to let the team do the same for minister Endo as well."